For whatever reason (possibly the existentially terrifying nature of our modern society), old-fashioned game shows are really hot. ABC did those new Match Game and $100,000 Pyramid reboots, and now VH1 will join in on this reheated game show craze with another reboot of a reboot. This time it’s Hip Hop Squares, a hip-hop-styled take on Hollywood Squares (obviously) that MTV2 first tried to get off the ground in those apocalypse-obsessed days of 2012, when everything seemed like a good idea because we all thought we’d be dead in a few months. Of course, mankind survived, and much like the circular Mayan calendar, we’ve now come back around to Hip Hop Squares. 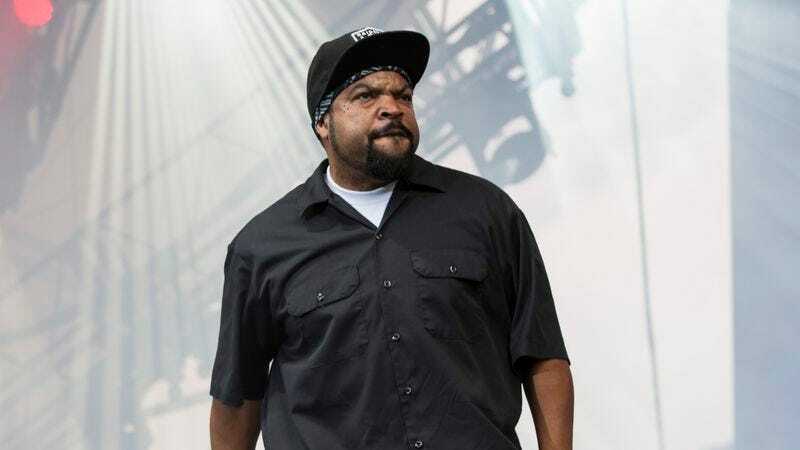 This new incarnation is being developed by Ice Cube and his Cube Vision production company, and a press release says that it’ll feature celebrities who must “match wits and test their pop culture knowledge with the superstar squares,” who will be made up of “the biggest names in hip-hop, comedy, and entertainment.” Beyond that, Ice Cube says Hip Hop Squares will be “fun and spontaneous,” and “unlike typical game shows, viewers should never know what’s going to happen next.” That’ll be an interesting change of pace from the traditionally straight-laced Hollywood Squares, which very rarely featured someone saying something wacky just to get laughs. Hip Hop Squares is set to debut this fall on VH1.